J.D. 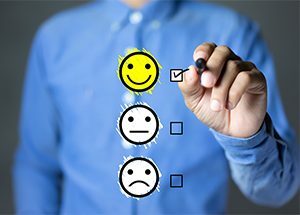 Power recently released telecom service satisfaction research that shows wireline companies that are communicating with their customers are seeing higher satisfaction levels. Call center efficiencies and clarifying billing statements, for example, have helped companies improve their customer experience. The three 2018 U.S. wireline studies were based on responses from 27,765 customers nationwide. Participants were asked to evaluate their high-speed internet, cable/satellite TV, and telephone service providers. Verizon ranked highest in satisfaction in the Eastern region. AT&T/DirecTV lead in the North Central and South regions. Cable One ranked highest in the West region, while Cox Communications ranked highest for telephone service in the West region. Read J.D. Power’s full press release.